Take a bite out of clutter in your garage, with the Garage Gator motorized platform lift! add 18 Sq. ft. Of efficient storage to your garage with the Proslat Garage Gator platform storage lift. Once installed, you'll never Climb a ladder to try and fit things on old, dusty shelves again. It's easy to lift and lower the (3 ft. Wide x 6 ft. Long) storage platform, with the motorized lift system. It has a weight bearing capacity of up to 220 lbs. The lift kit is simple to install, all mounting hardware is included, and maintenance and operation are a breeze! there is a key Lock on the corded remote control, so that you can prevent unauthorized operation and store your valuables safely & securely. The Proslat Garage Gator storage platform plugs into a regular household (120V) outlet. Ships in 2 cartons. Its modern design features minimalist detail in a sleek hand polished finish making it compatible with any contemporary bathroom decor. The Venue Collection offers a fresh look that will complete your bathroom accessory suite. Also the hand polished finish will provide long lasting durability. Generac's scheduled maintenance kits provide all the hardware necessary to perform complete routine maintenance on a Generac automatic standby generator. Oil must be purchased separately based upon manufacturer recommendations. Refer to the generator owner's manual for more information. Garage Gator 3 ft. x 6 ft. 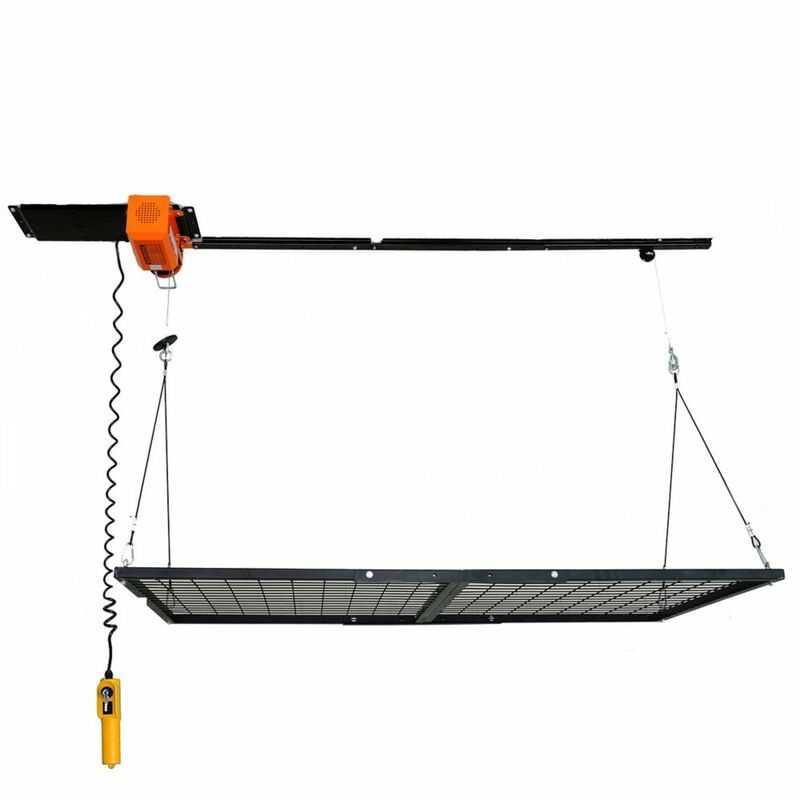 Platform 220 lb Hoist Kit Take a bite out of clutter in your garage, with the Garage Gator motorized platform lift! add 18 Sq. ft. Of efficient storage to your garage with the Proslat Garage Gator platform storage lift. Once installed, you'll never Climb a ladder to try and fit things on old, dusty shelves again. It's easy to lift and lower the (3 ft. Wide x 6 ft. Long) storage platform, with the motorized lift system. It has a weight bearing capacity of up to 220 lbs. The lift kit is simple to install, all mounting hardware is included, and maintenance and operation are a breeze! there is a key Lock on the corded remote control, so that you can prevent unauthorized operation and store your valuables safely & securely. The Proslat Garage Gator storage platform plugs into a regular household (120V) outlet. Ships in 2 cartons.